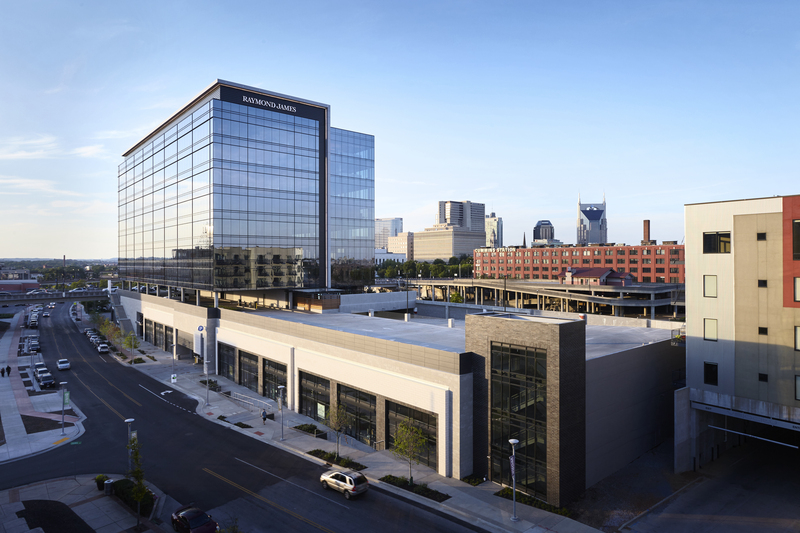 ESa, formerly known as Earl Swensson Architects, recently moved its headquarters into Gulch Crossing in Nashville, which the firm also designed. Opened in July 2015, ESa now occupies the top two floors of this new, 205,000-square-foot, eight-story, Class A office building. 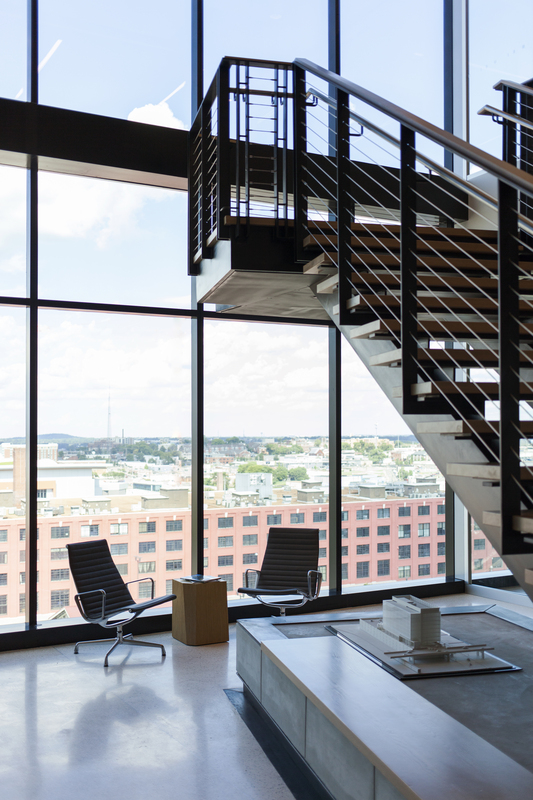 The high-performance curtainwall from Wausau Window and Wall Systems offer unobstructed views of downtown and supports the energy-efficient building’s LEED® Gold certification. Environmental responsibility and energy consciousness are inherent values adopted in the design, construction and operation of not only Gulch Crossing, but also in the surrounding community. The Gulch was the first neighborhood in the South to receive LEED for Neighborhood Development Silver certification from the U.S. Green Building Council. Located near Music Row and Vanderbilt University’s campus, the area has become a sought-after destination. Gulch Crossing’s sustainable design, efficient performance, prime location and attractive appearance are essential when asking a premium rental rate, the highest rental rate in Nashville. 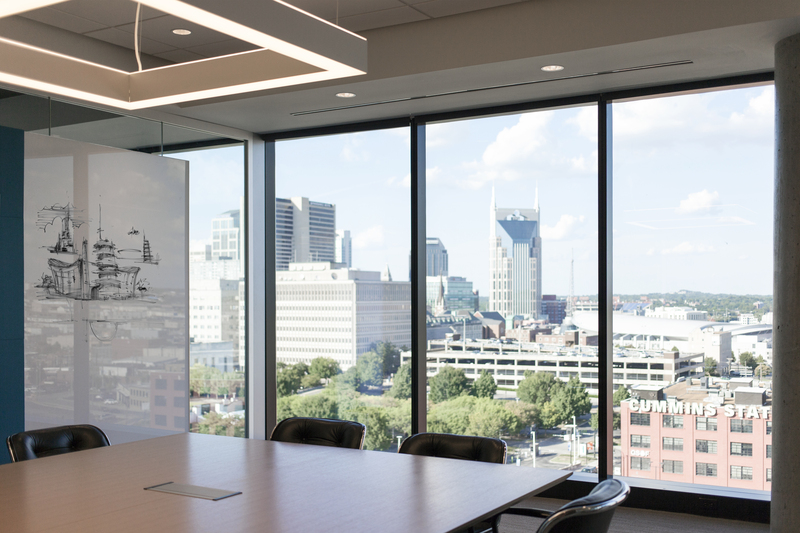 Nearly fully leased, it is the first office building to open in Nashville in the last six years. It also offers 16,000 square feet of retail on the ground floor. Situated adjacent to active railway lines and busy bike and pedestrian paths, Gulch Crossing acts as the gateway to an emerging, vibrant, urban neighborhood. Highlighting this connection and heritage, its front entrance, called “The Boxcar,” is set at the same angle as the train tracks. The building’s main lobby included tables made with wood reclaimed from previous train station. In The Club Room at Gulch Crossing, the glass-enclosed, private gathering area provides a transparency between interior and exterior, opening onto a green plaza with an amenity deck. From the two-story lobby through the eighth floor with ESa’s open-plan offices, Wausau’s curtainwall systems offer Gulch Crossing’s occupants floor-to-ceiling, panoramic views. Working closely with the ESa and general contractor JE Dunn Construction, glazing contractor Alexander Metals, Inc. installed a combined total of 46,500 square feet of Wausau’s 7250 SuperWall™ curtainwall and INvision™ 7250i-HRX unitized curtainwall. As part of the Advantage by Wausau® standard product offering, the SuperWall and INvision curtainwall systems are pre-engineered to ensure the intended performance. Available on an accelerated delivery schedule, these competitively priced curtainwall systems are backed with an industry-leading warranty of up to 10 years. Wausau’s unitized curtainwall systems are manufactured in ready-to-install units that span vertically from floor-to-floor. As the curtainwall units are pre-glazed under controlled conditions, rather than at the job site, building teams can be confident that the systems achieve their intended performance along with saving time and labor in the field. Ensuring a compatible installation and uniform sightlines, both of Wausau’s aluminum-framed systems used on Gulch Crossing are 7.25 inches deep with a 2.5-inch profile. Further enhancing the exterior appearance, Wausau custom-made some of the curtainwall cover plates into blade-like shapes. Beyond aesthetics, Wausau’s INvision 7250i-HRX unitized curtainwall has a polyamide thermal barrier that provides enhanced condensation performance and low U-Factor, helping reduce the building’s HVAC peak loads and associated energy costs. 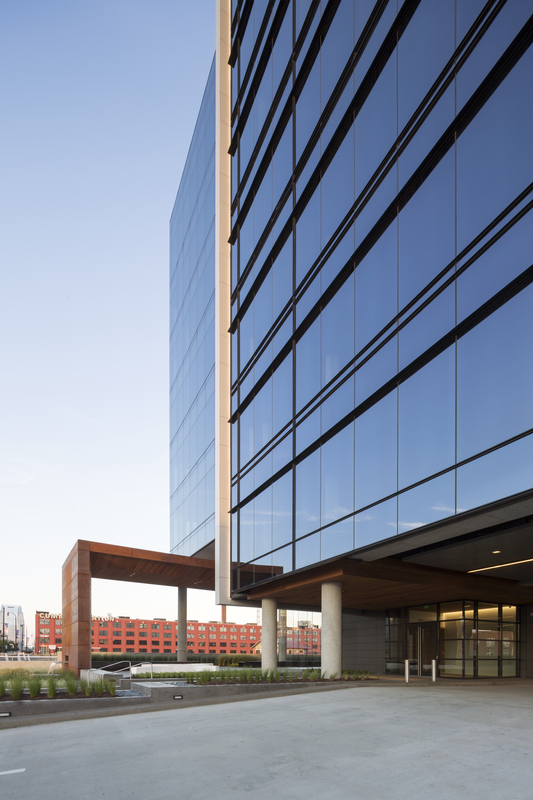 For Gulch Crossing, this curtainwall achieves National Fenestration Ratings Council (NFRC) U-Factors averaging 0.37 BTU/hr-sqft-ºF with an American Architectural Manufacturers Association (AAMA) 1503 Frame Condensation Resistance Factor (CRF) of 78. Wausau’s curtainwall combines high performance with the recognized benefits of natural light, ventilation and views. Further contributing to this project’s sustainable design goals, Wausau’s aluminum systems were manufactured with an average of 74 percent recycled content. Linetec finished the curtainwall aluminum framing and covers using a two-coat 70 percent polyvinylidene fluoride (PVDF) resin-based coating. The Black Onyx color was custom-blended in Linetec’s in-house laboratory. As an environmentally responsible finisher, Linetec captures the liquid paints’ volatile organic compounds (VOCs) to eliminate the exhaust of potential pollutants. Tested to meet the stringent AAMA 2605 specifications, the resulting, durable coating ensures a long-lasting finish. In total, Gulch Crossing brings up to 800 office workers to the Gulch neighborhood each weekday. In 2001, the City of Nashville designated MarketStreet Enterprises as the Master Developer of the Gulch. Since that time, MarketStreet, a privately held real estate investment and development company with the purpose of created a lasting and positive impact on the built environment of downtown Nashville, upholds the Master Plan to spearhead the urban revitalization through numerous public and private sector initiatives.